Here's another halloween mani I did. 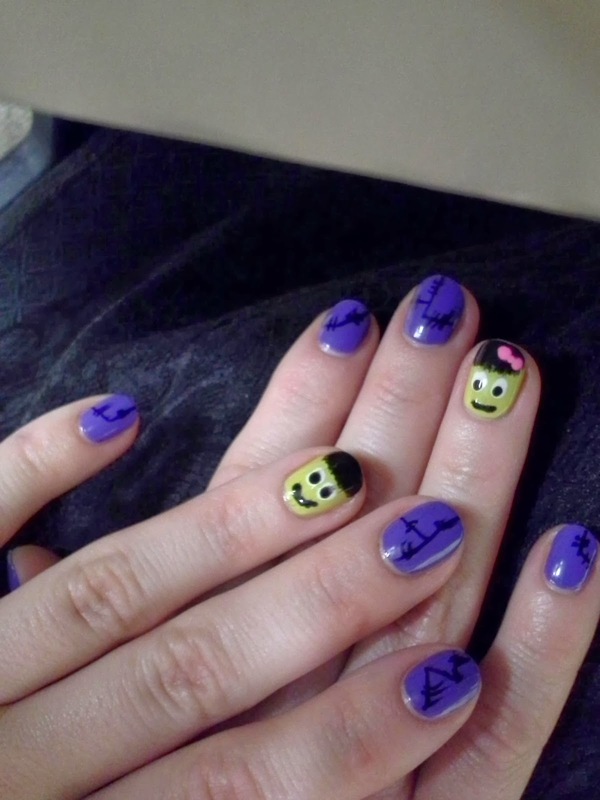 I used yesterday's halloween mani, and just changed up the ring fingers. 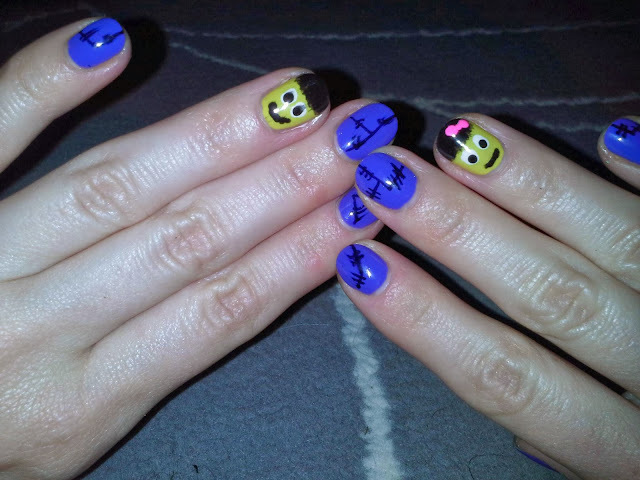 The rest of my fingers are still covergirl violast, and the patchwork design is drawn on with a sharpie. For mr and mrs frankenstein I used the lime green color in the mini opi halloween set, I think it's called waiting in lime. The hair, mouth, and eyes are rimmel black satin. Whites of the eyes are opi alpine snow. The bow on the mrs. is essie pink parka.